The associate director for Education and Training is appointed by and reports to the director of the Lurie Cancer Center. The position is responsible for oversight and coordination of the center's extensive professional education and training programs, including regional and national symposia. Public education programs are also organized by this division throughout the year. Intramural programs include weekly Lurie Cancer Center Grand Rounds, a weekly Tumor Cell Biology Seminar Series, an annual two-day distinguished lecturer, the annual Berlin Lecture and an annual Scientific Poster Session. In addition to oversight of education programs, the associate director also oversees training activities for the Lurie Cancer Center. This includes coordinating the activities of students in the Cancer Biology track of the Integrated Graduate Program on the Chicago campus, providing oversight for the training grants administered by the Lurie Cancer Center and coordinating efforts with other training programs, such as Northwestern University's Medical Scientist Training Program and Master of Public Health Program. The associate director also directs significant philanthropic resources in support of graduate training. As a member of the Executive Committee and Leadership Group, the associate director plays a key role in setting strategic direction, policy and priorities for the cancer center. John Crispino, PhD, MBA, is the Robert I. Lurie, MD, and Lora S. Lurie Professor of Medicine at Northwestern University. Over the past decade, Crispino’s laboratory has made many important contributions to improve our understanding of the mechanisms of normal and malignant blood development. He was the first to identify specific genetic mutations that are associated with leukemia in children with Down syndrome, and his laboratory is at the forefront of research on the relationship between trisomy 21 and abnormal blood cell development. 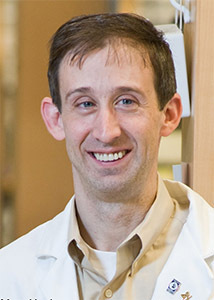 Currently, his research is focused on understanding the role of transcription factors in the specification and maturation of blood cells, characterizing genetic defects that lead to myeloproliferative neoplasms and acute myeloid leukemia and developing novel, targeted therapies for patients with these malignancies. He is co-PI of a National Cancer Institute-funded Carcinogenesis Training Program, a member of the Administrative Board of the Graduate School and a lecturer in graduate and medical student courses. Crispino is a former scholar of the American Society of Hematology and the Leukemia and Lymphoma Society and was named the 2011 Illinois Leukemia Researcher of the year by the Pamela B. Katten Memorial Leukemia Research Foundation. He is currently the scientific advisor to the Myeloproliferative Neoplasm Research Foundation and on the medical advisory boards for the Rally Foundation for Childhood Cancer Research and the Leukemia Research Foundation. His research is funded by three NIH grants and by numerous foundations, including the Leukemia and Lymphoma Society, the Rally and Bear Necessities Foundations and the Samuel Waxman Cancer Research Foundation.